There are dozens of ways to dine out for less with February 2018 restaurant weeks across North America. * Hudson Restaurant Week continues with $13-$20 lunches + $30-$40 dinners through February 2. Make a reservation. * Taste of TABASCO Week in New Orleans features the iconic taste of the Big Easy at prix-fixe prices through February 3. Make a reservation. * Dine Around Victoria highlights some of British Columbia’s finest fare with $30, $40 + $50 three-course dinners through February 4. Make a reservation. * Devour Indy is your chance to enjoy special three-course menus for less through February 4. Make a reservation. * Dine Out Vancouver has delicious $20, $30 + $40 dinners through February 4. Make a reservation. * Alexandria Restaurant Week has $10, $15 + $20 lunches and $35 dinners per person OR per couple through February 4. Make a reservation. * Conshohocken Restaurant Week brings $20 + $35 prix-fixe dinners to the Philadelphia area, February 4-10. Make a reservation. * Howard County Restaurant Week has local flavors at terrific prices with $15-$25 lunches + $25-$45 dinners through February 5. Make a reservation. 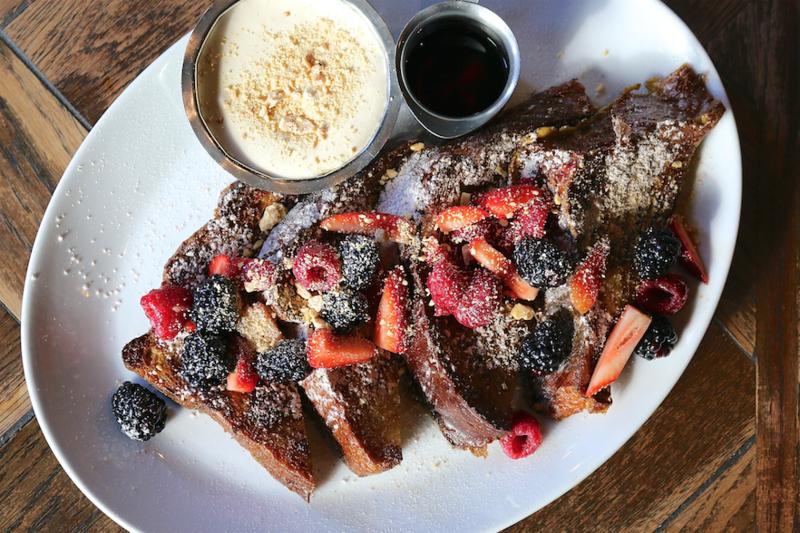 * Chicago Restaurant Week brings you Chicago’s finest restaurants, including Siena Tavern (whose brunch fave tiramisu French toast is pictured above), for a steal with $22 brunches + lunches and $33 + $44 dinners sure to warm your belly through February 8. Make a reservation. * Toronto Winterlicious invites you to choose from $23, $28 + $33 three-course lunches and $33, $43 + $54 three-course dinners through February 8. Make a reservation. * NYC Restaurant Week Winter 2018 has three-course $29 lunch + brunches and $42 dinners through February 9. Make a reservation. * Giro d’Italia Italian Restaurant Week comes to Toronto with four-course $45 Italian dinners, February 15-25. Make a reservation. * Detroit Restaurant Week motors into town soon with $29 + $39 gourmet dinners, February 16-25. Make a reservation. * Mpls.St. Paul Magazine Restaurant Week offers $10, $15, $20 + $25 lunches and $15, $20, $25, $30 + $35 dinners, February 18-23. Make a reservation. * Santa Fe Restaurant Week is your chance to expand your culinary horizons with $11.95-$35 lunches and $15-$45 dinners, February 18-25. Make a reservation. * Stamford Downtown Restaurant Weeks bring you two weeks to save in Connecticut with $14.18 + $22.18 lunches and $28.18 + $38.18 dinners, February 19-March 4. Make a reservation. * Denver Restaurant Week is time to give your tastebuds a treat with $25, $35 + $45 dinners, February 23-March 4. Make a reservation. * Annapolis Restaurant Week comes to the DC area with $15.95 two-course lunches and $34.95 three-course dinners, February 25-March 3. Make a reservation. * East Passyunk Restaurant Week is showcasing $15 lunches and $35 dinners in the PHL, February 26-March 9. Make a reservation. Check back for additional February 2018 restaurant weeks — and let us know which ones you’re taking advantage of here in the comments or over on Facebook, G+, Instagram, Pinterest, or Twitter. Also, remember to snap + share your #dishpics with us on Instagram for a chance to win in our weekly giveaway. This is 1st time I’ve seen this. Great idea; do you post these events regularly & enough in advance that it might spur a weekend foodie getaway? Anything in Naples , FL?